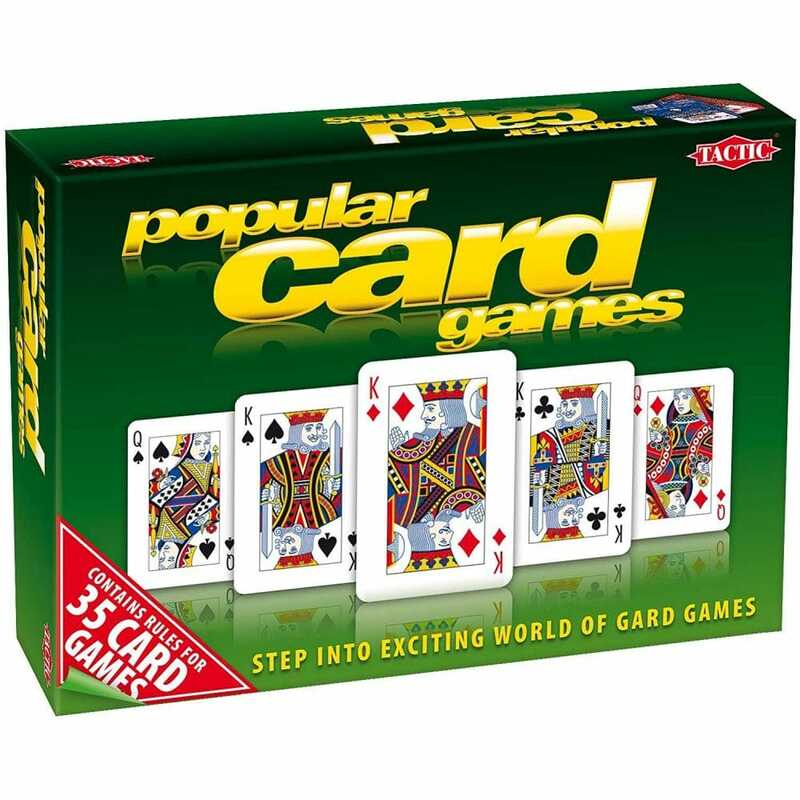 Popular Card Games is full of exciting card game challenges! This magnificent game set includes rules to thirty-five-well known and interesting card games, two decks of cards, game money and a scoring block- everything you need for a night of card games. With this great set, you will have fun for hours! Contains rules for: whist, oh hell, hearts, poker, rummy, canasta, piquet, ecarte, five hundred, bezique, auction pinochle, pontoon, beleaguered castle, belle lucie, canfiels, klondike, miss milligan, salic law, spider, sultan and michighan rum. A bit about the brand: The best possible entertainment for players of all ages with high quality games for both indoors and outdoors, puzzles and playing cards.